The company has been the main sponsor of Methven rugby, cricket and netball for 25 years and has sponsored several other events over the years. The Methven Rugby Seniors are one of the teams we support, and we also look after the junior teams as well as the netball and cricket clubs. We believe sport is important in our community for both young and not so young and help out where we can. Philip was chairman of the Methven Promotions Association which later led on to his involvement in the Methven Community Board where he was chairman for six years. Philip strongly believes in the need to have a balance between having wise heads on community boards and fresh ideas, and this requires a good turnover of people. His latest involvement was as joint chairman of the Methven District Heritage Association which completed a $6 million project revamping the old Mt Hutt Memorial Hall and building the New Zealand Alpine and Agriculture Encounter. Philip describes the Encounter as a uniquely Kiwi-flavoured interactive experience. It takes the visitor on a journey from the plains to the mountains, highlighting the weather patterns and geology which underpin highly productive sustainable farming as well as a buoyant snow sports and tourism industry. As Philip points out, the fact that such a small community was able to raise $6m to build such a facility is a reflection of the strength of its spirit. 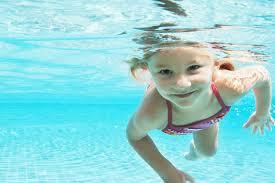 PWL continues to be a part of a new initiative in Methven – the Learn to Swim program. This year the Methven Community Pool in conjunction with Philip Wareing Ltd will be offering ‘Learn to Swim’ scholarships, there will also be a ‘200 Club’ which is aimed at children being able to swim 200 metres. Philip has kindly donated the funds for the ‘Learn to Swim’ programme.